To get married in Cuba you will need a valid passport, a tourist card (which will be supplied to you on the flight), your birth certificate and translated documents by the Cuban Consulate in your country of origin. Divorce and death decrees are needed if applicable. To travel to Cuba, you will need your passport as well as a tourist permit (Airline will supply on the flight). Make sure to advise your country's travel information website for more information and possibly other travel documents. The official language of Cuba is Spanish, however, all resorts and tourist intensive areas speak English. The official currency of Cuba is the Cuban Peso, however, USD is accepted across the country. From choices of Cayo Coco, Cayo Santa Maria, Havana, Varadero, and more, there are so many beaches for your wedding to choose from! The beaches in Cuba are one of the best in the world. Known for their beaches, Cuba prides themselves on preserving the white sands and blue waters. You will often see locals doing their part to clean the beaches if needed. Due to their location, the Cuba weather is sunny year round with an average temperature of 24 degrees, you can expect an amazing sunny vacation! 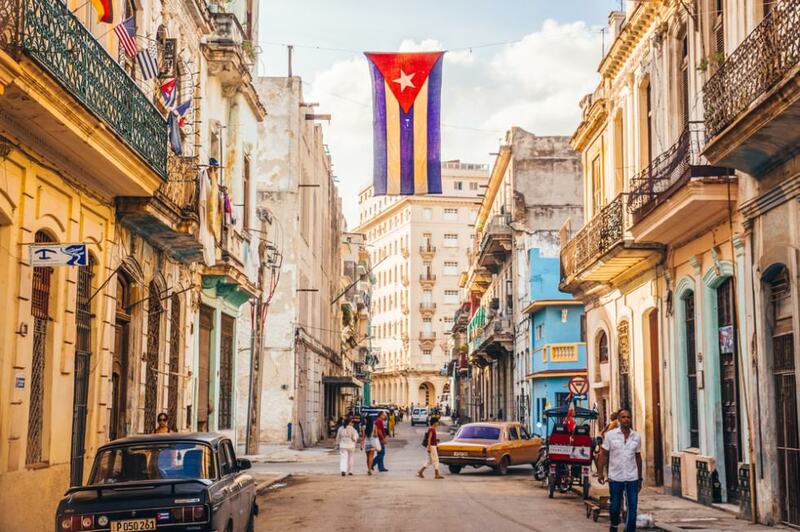 Like Camilla Cabello says, "Half of my heart is in Havana", Havana is a must go for those seeking culture and a step back in time. 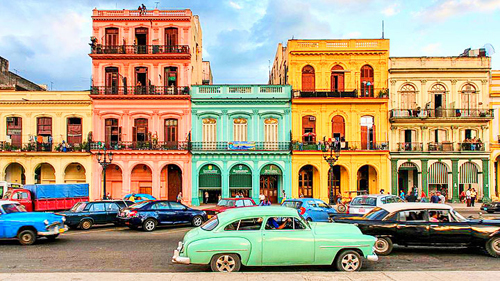 Havana has a 1950's feel with original buildings and historic landmarks and 50's style cars with bright colors. You can expect Cuban dancing on the streets and very bright colors. Bright colored houses, decor around the city and clothing on the locals. Havana is the capital of Cuba, and has something or everyone! With an average temperature of 68 to 85 degrees F, it is a great location for all times of the year. The shopping scene is a great day trip and the snorkeling and scuba areas are fantastic! Cuba has so many all-inclusive resorts to choose from, there is something for everyone! There are a ton of things to do in Cuba. One of the most popular would be the beach. Watersports on the beach, relaxation time on the beach, catamaran rides just outside of the beach. 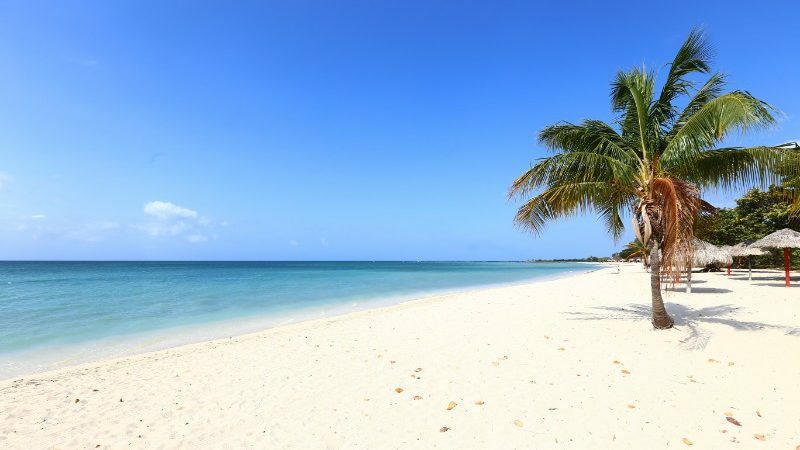 Cuba is known for their amazing beaches. In addition to their beaches, there are excursions for everyone to choose from. One of the most popular, a cigar making excursion, complete with the process of rolling the famous Cuban cigar, and then tasting the final product! Hiking is a popular occurrence in Cuba. There are a lot of rural areas, along with beautiful waterfalls and cenotes (a sinkhole collapsed by eroding limestone that exposes the water underneath, similar to a swimming hole cave). As for cuisine, due to its location, Cuba is famously known for their variety of seafood options. At most resorts, there will be a restaurant specifically geared towards the beautiful seafood caught daily. Other than seafood, if you travel into town, especially Havana, you will want to stop at a local restaurant to try a Cuban sandwich (which is a fancy ham and cheese sandwich! ).